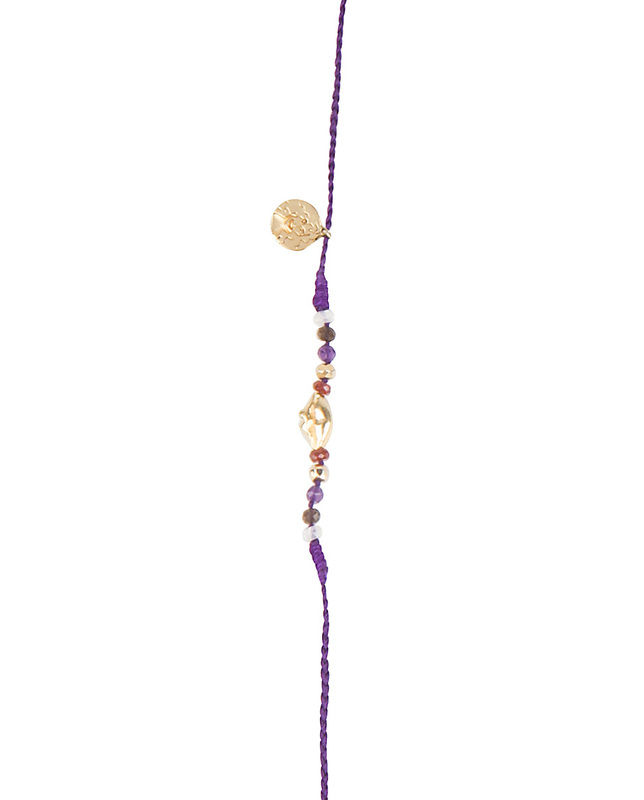 Purple long Buddha necklace with mixed gemstones, the metal ornaments are 14 Krt gold plated on first grade silver. 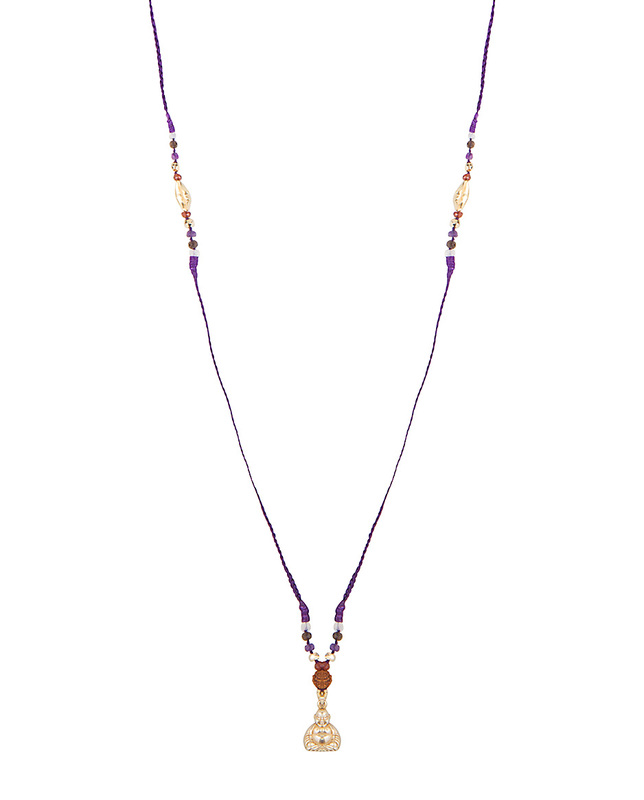 This colourful necklace in bright purple thread is handknotted with luxurious gemstones. It has two symbols: The Buddha figure, which creates spiritual development, and will lead you to the insight where you experience the true nature of reality. The mouth symbolises the door to the soul, which lends access to another realm of existance. 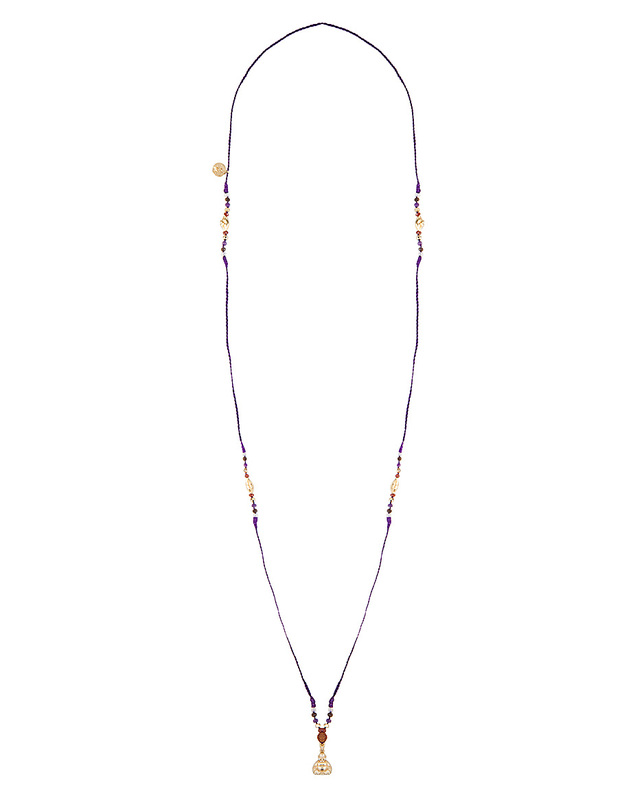 Purple is a symbolic for extravagance, dignity, independence, magic, creativity, energy and self-confidence.